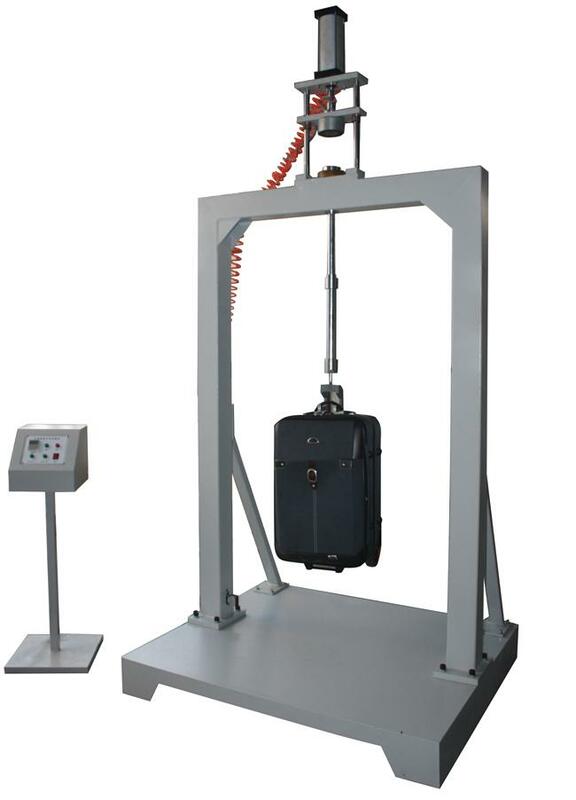 Luggage oscillating impact testing machine is a machine that oscillate and impact the carrying handle, buckle, suture and the structure for the suitcases, luggage and travel bags. 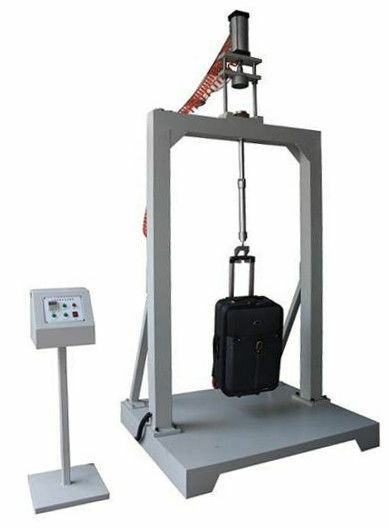 The method is that loaded a certain weight in the suitcases, luggage or travel bags, the speed of 30 times per minute and the displacement of 4-inch to impact the specimen 2500 times, the test results can be used for quality improvement. 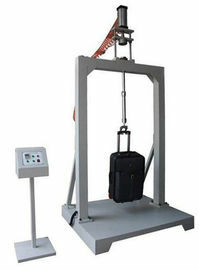 The machine will be automatically shut down if the specimen dropped at half-way; speed is adjustable.